Scooper - Technology News: Many well educated Arab women don't have jobs. How do we change this? Many well educated Arab women don't have jobs. How do we change this? 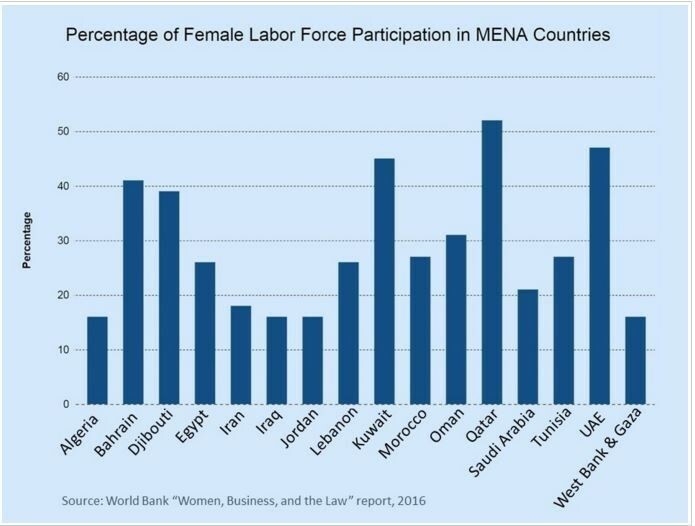 Thirteen of the 15 countries with the lowest rates of women participating in their labor force are in the Middle East and North Africa (MENA), according to the 2015 Global Gender Gap Report (2015). Yemen has the lowest rate of working women of all, followed by Syria, Jordan, Iran, Morocco, Saudi Arabia, Algeria, Lebanon, Egypt, Oman, Tunisia, Mauritania, and Turkey. So, why is women’s participation in the workforce so low in MENA, especially when the education rate is at parity for girls and boys, and especially when, often, the girls outperform the boys? According to research presented by Dr Ragui Assaad at the World Bank recently, the distribution of academic scores for boys and girls is basically the same in the region’s most populous countries of Algeria, Egypt, Iran, Morocco, Turkey, and Lebanon. And, according to his report “ Equality of Opportunity in Education in the Middle East and North Africa ,” girls seem to outperform the boys academically in the oil-rich nations of the Gulf , as well as in Jordan and Palestine.